Private wood fired sauna days for you and your guests.... traditional fire-side or outdoor massage for each guest, hot-stone massage for each, and a warm shower available in the sauna -- all included. Package details below. Description: Come and spend a few hours in the country in Capon Bridge, WV, sweat, get your sore muscles worked, get a hot stone massage session for yourself and a couple of friends, and shower it all off as often as you need to. Pick a day and time and I'll have the sauna prepared at least 90 minutes in advance. Temperatures can hover between 120 and 160 degrees. Pour water on the wood stove and rock trey for added steam and sweat. Caution: wood stove gets very hot! What's included: 3 hours of massage for yourself and a couple or several friends. Massage includes fire-side massage during cooler weather months and outdoor massage during warmer weather months. Divide the 3 hours any way that you choose among your friends. 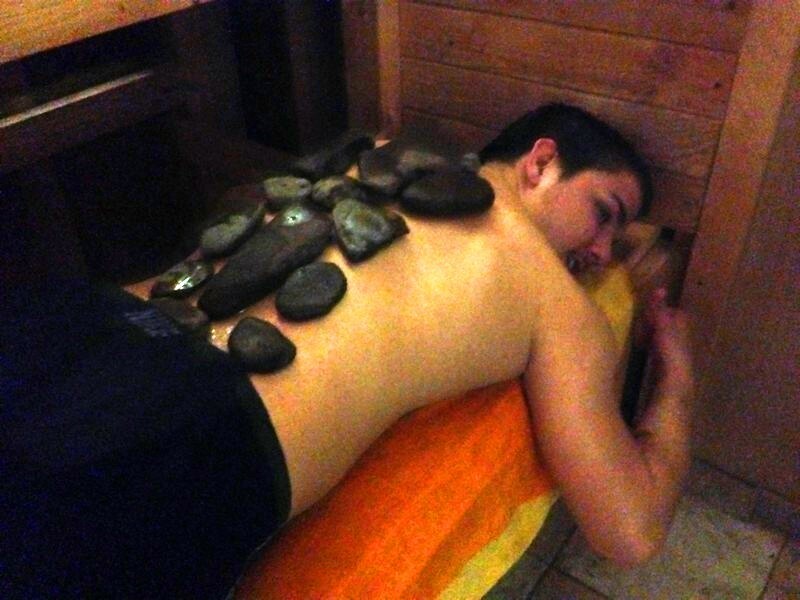 Each person will also receive hot stone massage in the sauna. 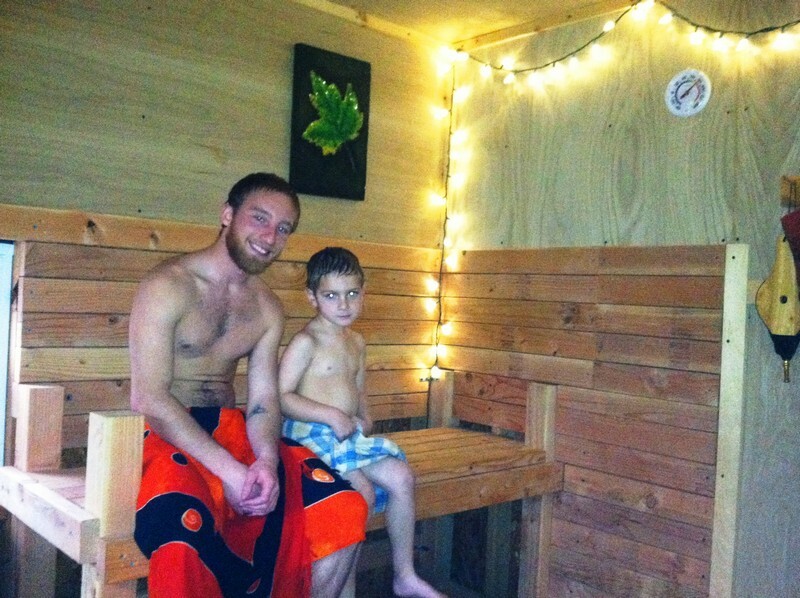 A warm/cool shower is also available in the sauna to help to keep you from over-heating. Additionally: Hang out out on the back deck, start the bon-fire, bring some drinks and food to share with your guests -- set up in the garage -- which also includes a pool table and ping pong table. Price: $225 gets 3 hours of massage time, including hot stone massage for all, and a hot sauna. Use as three 60 minute massage sessions or two 90 minute massage sessions. Additional massage time at $60/hour. About Vince: For more details on Vince, the property owner, massage therapist, and options for massage (types/modalities), select these options from the drop down menus above. 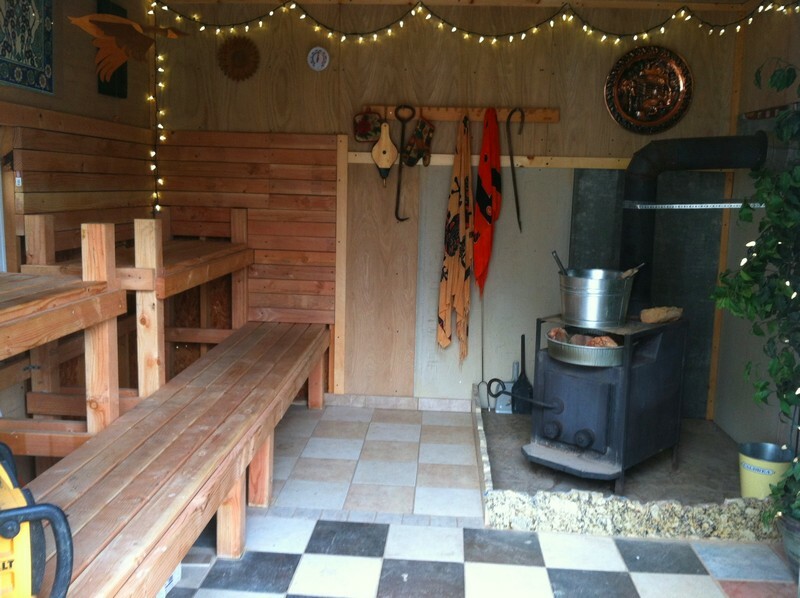 Private wood fired sauna days for you and your guests.... traditional fire-side or outdoor massage for each guest, hot-stone massage for each, and a warm shower available in the sauna -- all included.